While observing a family group of elephants in the wild, Caitlin O'Connell, a young field scientist, noticed a peculiar listening behavior. A matriarch she had been watching for months turned her massive head and lifted her foot off the ground. As she scanned the horizon, the other elephants followed suit, all facing the same direction. O'Connell soon made a groundbreaking discovery: the elephants were "listening through limbs," feeling the ripples of the earth's surface for approaching friends and enemies. Through their feet, toenails, trunks, and other, subtler modes of communication, these enormous animals were communicating to one another, demonstrating the vital importance of social relationships in their lives. Yet this grand revelation about the intelligence of wild animals is also a story of the relationship between humans and elephants as neighbors, vying for the same resources of an increasingly crowded continent. 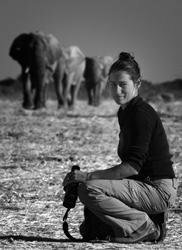 For when O'Connell was first contracted by the Namibian government to develop new methods to deter elephants from raiding villagers' crops, she was unprepared for what she would encounter -- political upheaval, tribal disputes, inhumane poachers, and a fundamentally ineffective approach to wildlife conservation. Despite these setbacks, she came to know and love each of the fascinating, unique elephants under her watchful eye, while at the same time witnessing a change in attitude and policy, providing hope for the elephant's future. An unforgettable journey of scientific discovery, The Elephant's Secret Sense takes you deep into the wilds of Namibia, from the tops of isolated, desert observation towers to the jaws and claws of ravenous lions to aerial expeditions and dusty highways, where the naturalists do their difficult work in a troubled land threatened by expanding human populations and unstable politics. Resonant with the powerful calls of the mysterious elephant, this is a story about the resilience of nature and the inspiring, astonishing, and often heartbreaking places where humans and wild animals come together. Caitlin O'Connell is a research associate at Stanford University, in the Department of Otolaryngology, Head and Neck Surgery. Her discoveries have been published and reported in various periodicals, including Science, Science News, Natural History, National Geographic, The Economist, and Discover. She has appeared on National Geographic, the BBC, PBS/Nature, and the Discovery Channel. O'Connell lives in San Diego, where she and her husband direct the nonprofit organization Utopia Scientific, which promotes elephant conservation and scientific understanding around the world. "The legendary naturalist Niko Tinbergen once defined the study of animal behavior as the process of interviewing an animal in its own language. 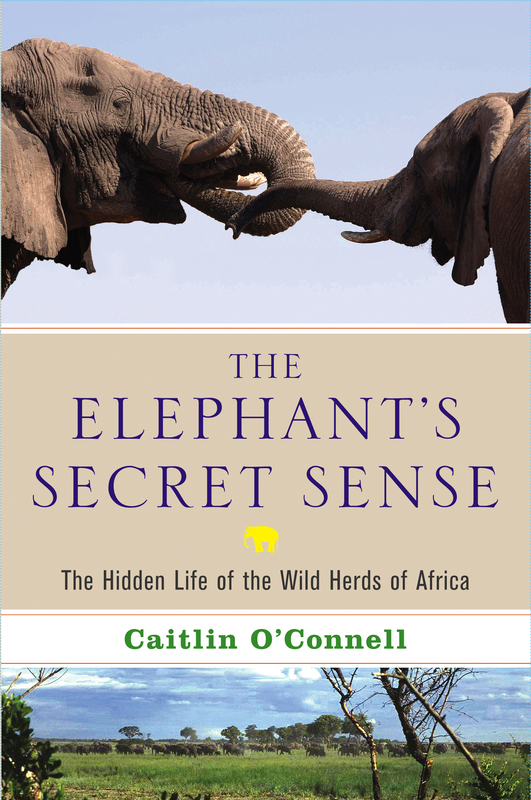 In this book about her years of research in Southwestern Africa, Caitlin O'Connell recounts how she discovered a new way with which elephants communicate, one that seems implausible if we can only imagine 'interviewing' an animal within the constraints of our impoverished human senses. But the book is far more than just this marvelous discovery and its role in the social lives of elephants. O'Connell also tells hauntingly of having to navigate the increasing conflict between the world of wild elephants and the world of humans trying to eke out survival from the soils of Africa, and how both sides lose in the process. This is a deeply engaging book." "When an elephant tries to pick up distant sounds, all it needs to do is press its feet to the ground. The surprising way in which these giant sensitive souls communicate is described here by its discoverer, Caitlin O'Connell, along with a warm, admiring account of their social life on the African savanna." "Every once in a while a researcher has enough courage and intellectual curiosity to risk everything -- terrorists, tusks, claws, fire, drought, tsetse flies, poachers, disease, and worst of all failure -- to discover one of Nature's greater truths, and to write poignantly about it. By living under the feet of her research subjects and documenting with careful painstaking study that elephants communicate seismically -- through their toenails: Who knew! -- Dr. O'Connell has given us a captivating, humbling, and intimate insight into the social mind of the African elephant. Her life studying elephants is as profound and exciting as her discoveries. This book is a must-read for anyone wanting to know what it takes to do research on a large mammal in conflict with Man, and in a remote and dangerous setting. Dr. O'Connell is as intrepid as she is tenacious and ingenious. Brava!"